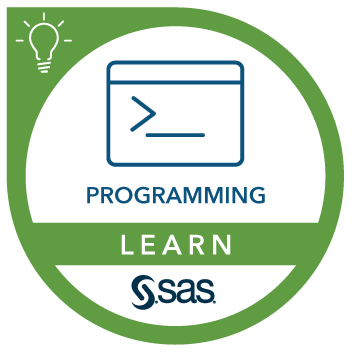 This course can help prepare you for the following certification exam(s): SAS Base Programming for SAS 9. Use SAS Studio and SAS Enterprise Guide to write and submit SAS programs. Access SAS, Microsoft Excel, and text data. Prepare data by subsetting rows and computing new columns. Analyze and report on data. Export data and results to Excel, PDF, and other formats. Understand file structures and system commands on your operating systems. Be able to access data files on your operating systems. Sorting data and removing duplicates. Enhancing reports with titles, footnotes, and labels. Using Structured Query Language in SAS. Joining tables using SQL in SAS.